We’ve done another Cloud Business podcast this time focused on merging a business. Nigel and I share our experiences and our thoughts as to what works, what doesn’t and what to look out for no matter what side of the merger fence you are on. and of course I’d love to get your thoughts on this or any of our episodes. I’d also appreciate any iTunes reviews as this helps us reach a broader audience. Good or bad, we;d love to hear from you. 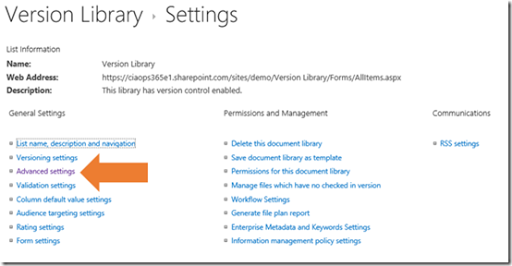 Many people think that the only way to get documents into SharePoint Online is to upload them. Not so. 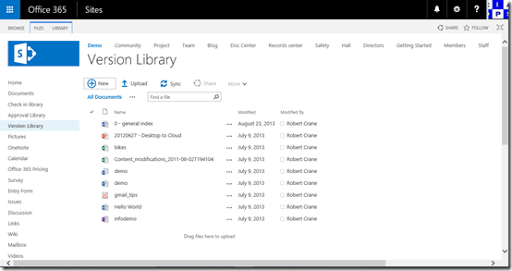 You can actually create a new document directly in the Document Library. The most common way to do this is to select the New button just under the library name as shown above. This will then display a menu like you see above that allows you to create a range of Office documents as well as a new folder. If you select any of these, you will simply be taken to a new blank Office document as you see above. 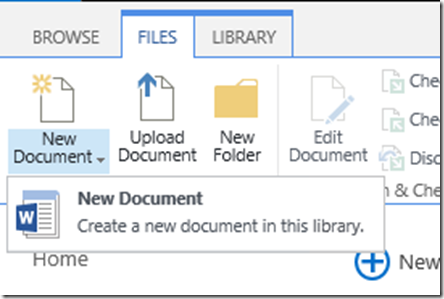 Another method of creating a new document is to open the Ribbon Menu by selecting the Files tab at the top of the page and then selecting the arrow under the New Document button at the left as shown above. 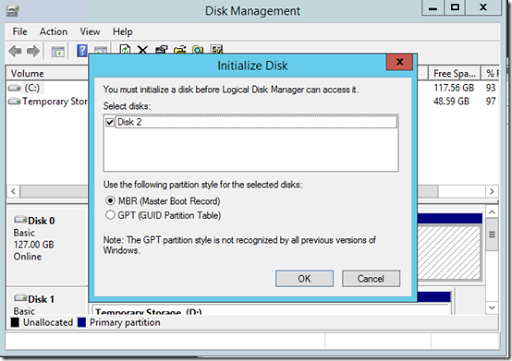 You will then typically see a single option New Document as shown above. 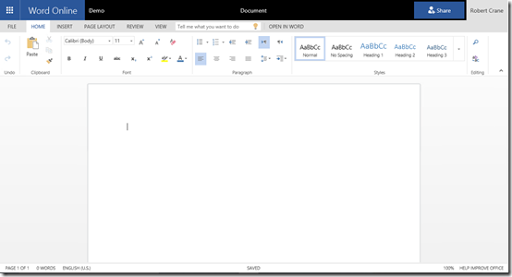 If you select this you will be prompted to open you desktop Office application and when you do you will see a blank document again as shown above. 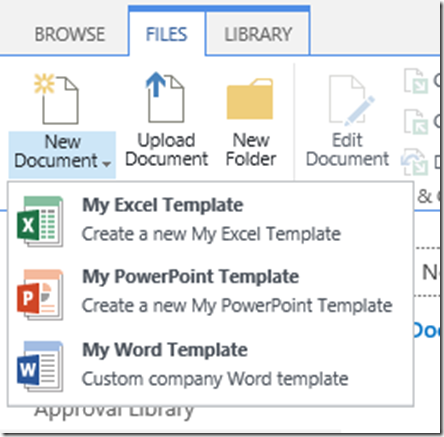 If you instead want to have your own document templates displayed in a Document Library you can do that a number of ways. 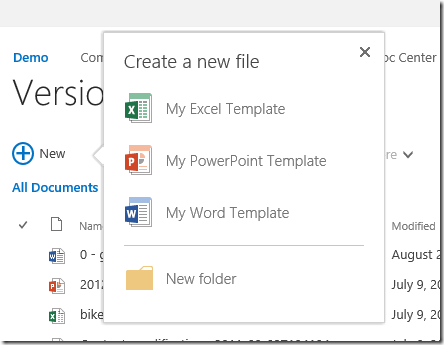 If you simply want to edit the New Document template that you see from the Files tab you need to use SharePoint to edit this. You will firstly need to select the Library tab in the top left (just to the right of the Files tab just shown). 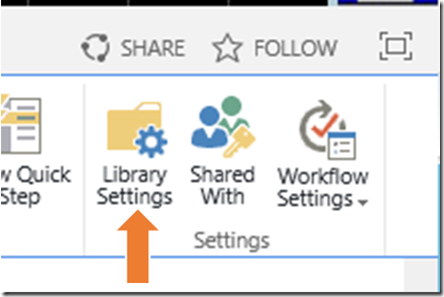 On the very right hand side of the Ribbon Menu that is now displayed locate and select the Library Settings icon. 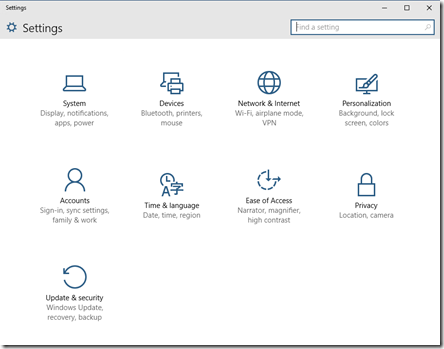 Select the Advanced settings option under the General Settings column. The second field now display shows you the template URL. You will also see an option to Edit Template, which will launch the Office program on your desktop and allows to make any changes desired. 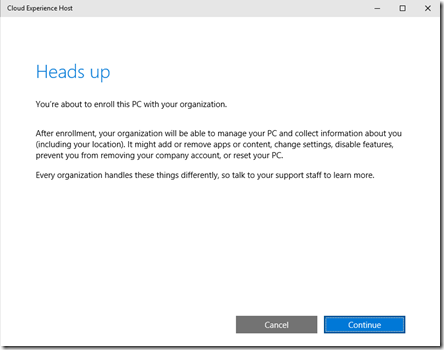 If you try and change the URL of the template to some other location in SharePoint you’ll be greeted with the above message basically telling you that this is not possible. So all you can really do here is edit the existing template. There is however a further option that provides much more flexibility and that is using Content Types. 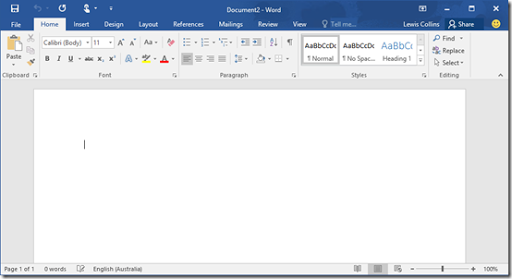 You firstly need to create the Office document you want to use as templates. Best practice is to save these in dedicated Office template formats. 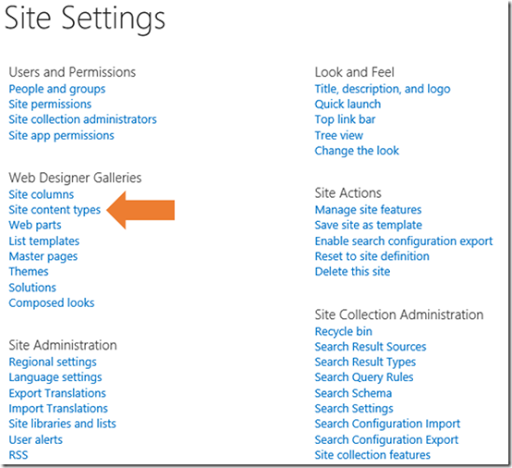 Next you need to go to the SharePoint Online Site Collection you want these new templates added to and select the Cog in the top right corner and then Site Settings from the menu that appears. Select the Site content types option from under the Web Designer Galleries section. Select the New option at the top of the page. 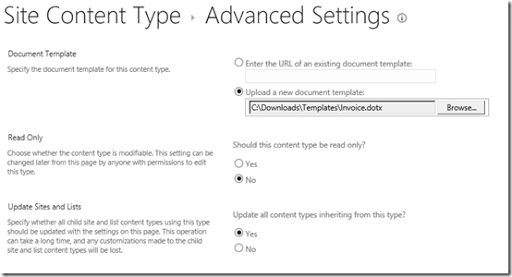 Best practice is to create a new content type for each document template you want to use. It is also good practice to create a new Content Type Group to make it easier to identify the custom items that have been added. Because Content Types are hierarchical you should select the option for Document Content Type as the parent content type to inherit from. 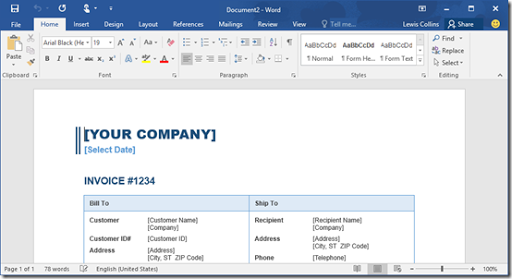 You should select Document as the Parent content type in the field below. As suggested you should also create new Content Type Group for new items you add. When all these items are complete select OK.
You should then see a summary of the new Content Type as shown above. Select the Advanced settings option. 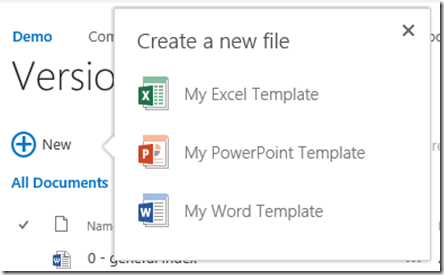 In the Document Template area at the top of the page you can select the file to be used. Best practice would be to locate this in another Document Library that everyone has read access to so you can change it easily. However, in this case we’ll select to upload the template files we previously created. Once these options have been selected, update the Content Type by selecting the OK button. Repeat the same process for every template file you want to use. The only different with subsequent files is that you will add them to the new Content Type Group you created with the first template. 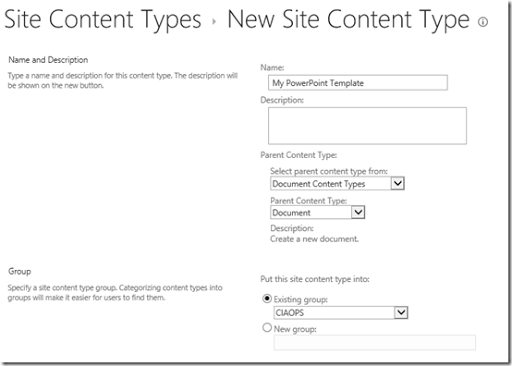 If you now look at the list of content types in your Site Collection and use the Show Group filter option on the left to only display the new Content Type Group you created, you should see the Content Types you just created (here one for Word, Excel and PowerPoint). 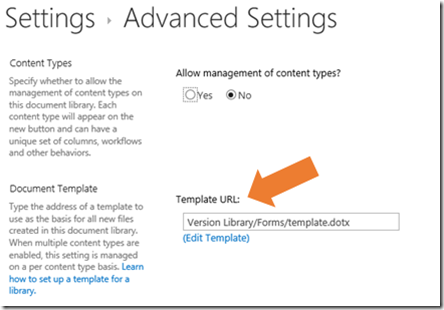 You now need to go to each Document Library in your Site Collection where you would like these new templates to be available and then select Library Settings. You then need to select Advanced Settings again. At the top of the page you need to select Yes to Allow management of content types and save this change. Now in the Settings for the Document Library you should see an additional section called Content Types as shown above. In there you will find one existing Content Type on which this library is based. 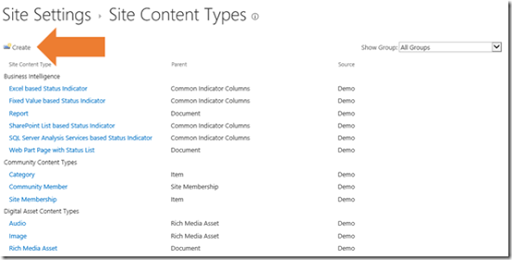 Select the option Add from existing content types. 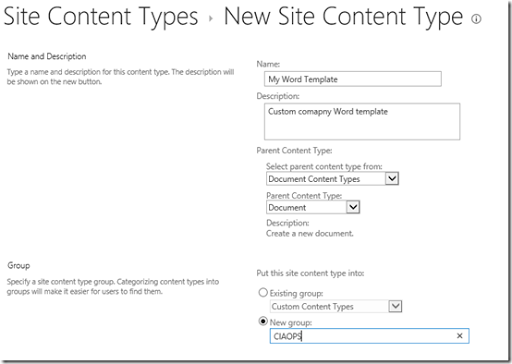 Select the new Content Type Group name you created at the top of the page. This should filter the total list of Content Types down to the new ones you just created (this is ability to filter is why creating new Content Type Groups is best practice). Add the new Content Types from the box on the left to the right and save the changes by clicking OK.
Back in the Setting for the library you should see that you Content Types are now listed as shown above. Now select the link Change new button order and default content type. Best practice is generally not to delete the default Content Type but just hide it. Save your settings when complete. If you now select the New button in the library you should only see the your template files and the New Folder option. Likewise, if you also select the arrow under the New Document button you will again only see your new file templates. 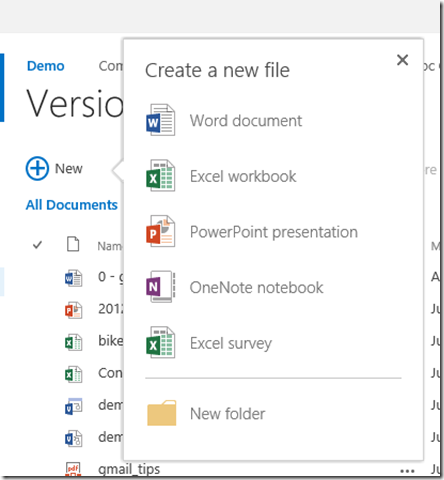 If you then select one of these options, you’ll be prompted to download the Office document, which will open in the desktop version of the application and allow you to create a new document based from this template. 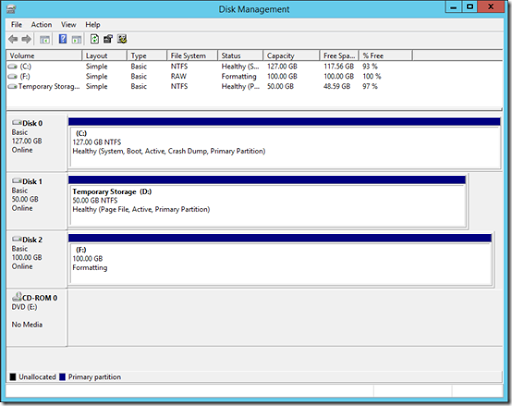 If you wish to remove the option New Folder in the list, return to the Advanced Settings in Library Settings and locate the Folders item and set this to No. If you again return to the library and select the New button you will see that the New Folder item no longer appears. 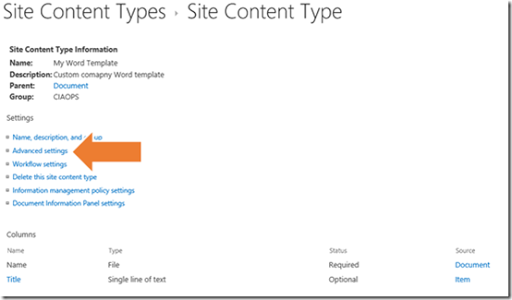 Site Content Types are the best way to customise injecting your own default documents into libraries in SharePoint. They take a bit longer to set up but once they are they are easy to use anywhere within the site. They also provide the bonus of when you update the actual file used as the template it will give you the option to update everywhere where that template is being used throughout your Site Collection. Content Types have a lot more functionality but that is for a future post. 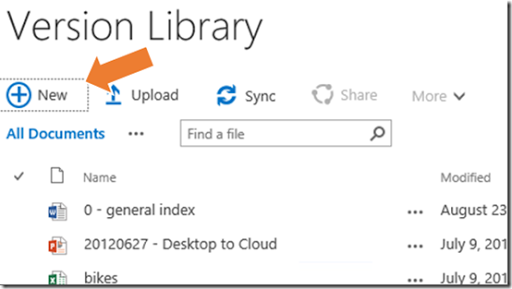 Hopefully this show you firstly how to create your own custom library templates but also how powerful SharePoint is when it comes to managing content. Jeff and I dive a bit deeper into what Windows 10 offers, the new features it brings to the table and why everyone really should upgrade. Look out for further podcasts with Jeff around Windows 10 as it ramps up over the coming weeks. 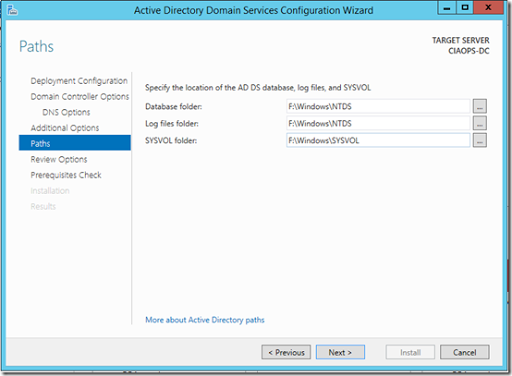 One of things that really excites me about Windows 10 is its ability to be directly joined to an Azure Active Directory. I think this ability is a major change in the way identity for desktops is going to be managed going forward. 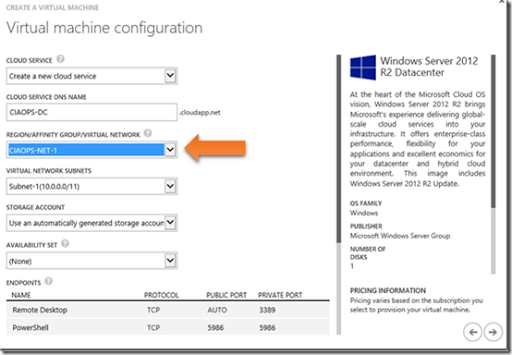 The way that you facilitate a Windows 10 machine doing just that is to firstly go into your Azure AD and select the Configure option as shown above. 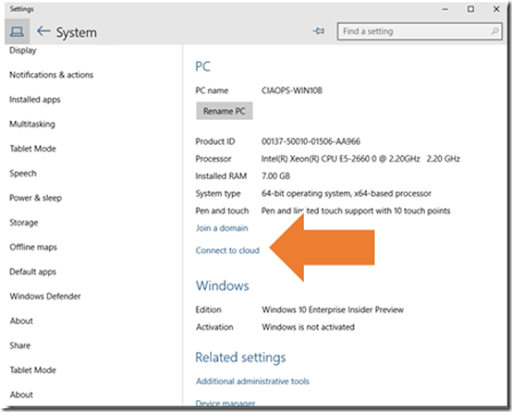 You then scroll down to the devices area and ensure that the Users may Azure AD join devices is either set to All or Selected, as shown above. 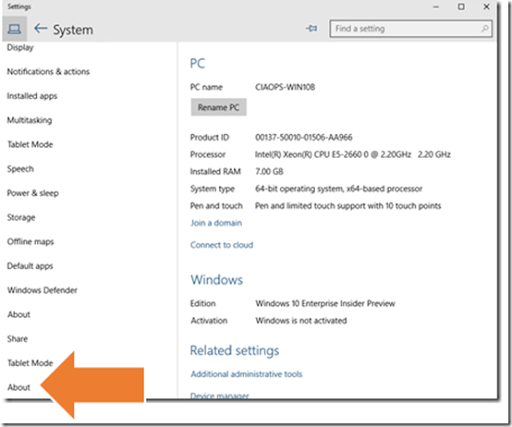 Then you go to the Windows 10 machine you wish to join to Azure AD and select Settings. Then select About from the bottom of the menu options on the left. 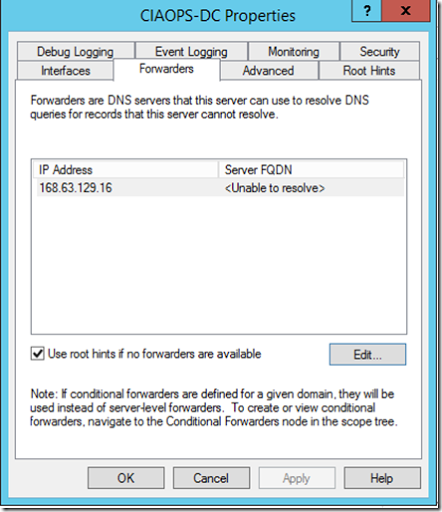 Then on the right hand side select the link Connect to cloud as shown above. From the window that appears select Continue. 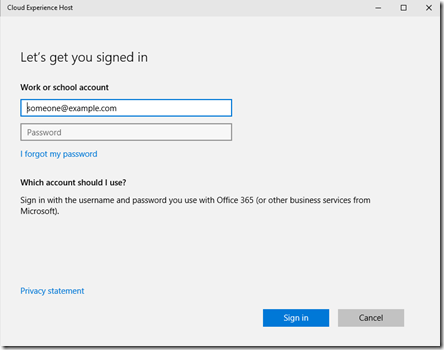 Enter the credential of a user permitted to connect to your Azure AD and select Sign In. 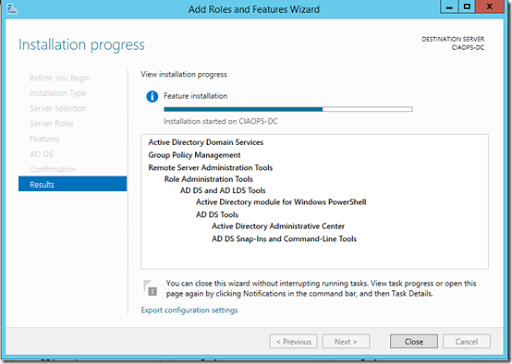 A few moments later the process is complete and the Windows 10 machine is joined to Azure AD. 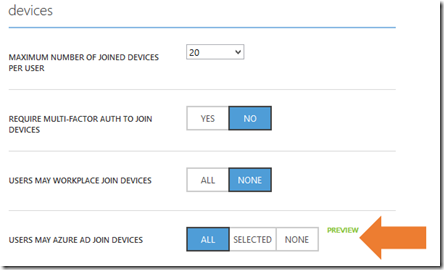 If you then check back in your Azure AD and select the user who completed the join and then select the Devices option from the options across the top. That should display a list of Windows 10 machines that are now connected as shown above. 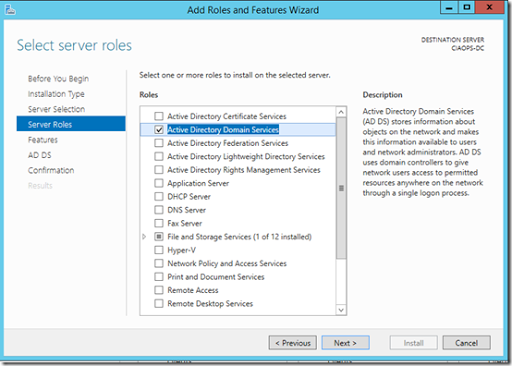 To remove the device from Azure AD simply visit the Settings | About page again and this time select the link Disconnect from the organisation. You’ll be prompted to Disconnect as shown above. 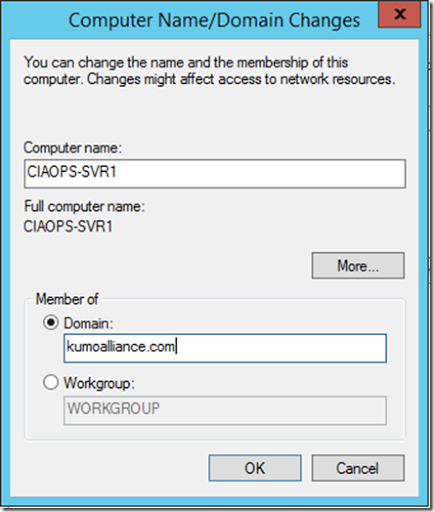 You’ll then need to enter the credential for a local machine administrator (i.e. 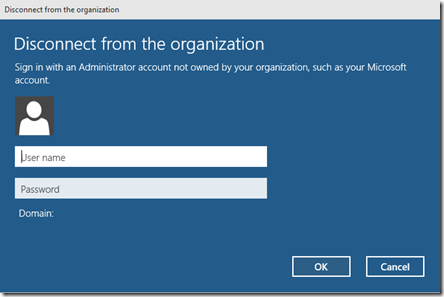 a users with admin privileges on the Windows 10 desktop). The last step will then be to restart the machine to complete the separation process, much like you would when joining an on premises AD. 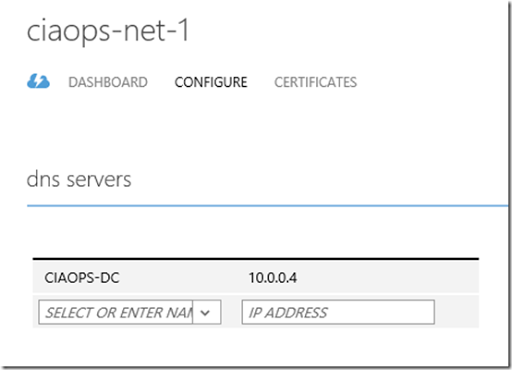 So there you have it, joining an Azure AD is very simple on a Windows 10 desktop. 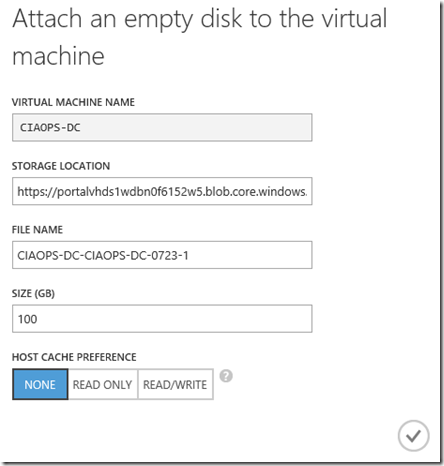 Look out for more articles on Windows 10 and Azure AD soon. When I sent into my Office 365 today I found a new icon! 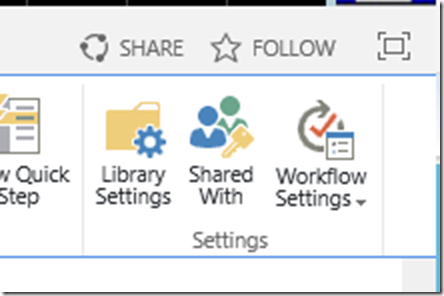 PowerBI has arrived (Yellow icon, second row, first item). When I look at the licenses for my tenant I see unlimited PowerBI licenses as you can see above. and watch out for more PowerBI articles here. I’m happy to announce that I’ve uploaded over 3GB of video training at my cloud business training academy at Cloud Business Blueprint. This is all part of the Cloud Business Blueprint Community. You can also see that there are at least 136 videos available for community members to view on demand aside from all the other content that is also there! The best thing for Cloud Business community members is that I am committed to build even more content. I am working hard to add more on demand training, white papers, how to articles, re-brandable content on top of what is already provides in the forums. You can cancel at any time, non obligation, no questions asked. if you want content on building a cloud business then look no further than Cloud Business Blueprint. If you like all the free stuff that I do, then you are sure going to like what is in the Cloud Business Blueprint Community. Becoming a member supports me in focusing on bringing members even greater and deeper content. I thank all the existing members and I hope that anyone else will join them in creating a community of resellers dedicated to succeeding with their cloud business.